The other day I was talking with a friend of mine, Miguel Wood (@MiguelWood) about a SharePoint 2013 farm that I was provisioning in Azure. We were talking about endpoints and direct access into the SharePoint farm, and I realized that I really should have put all of my public facing URLs through a reverse proxy. 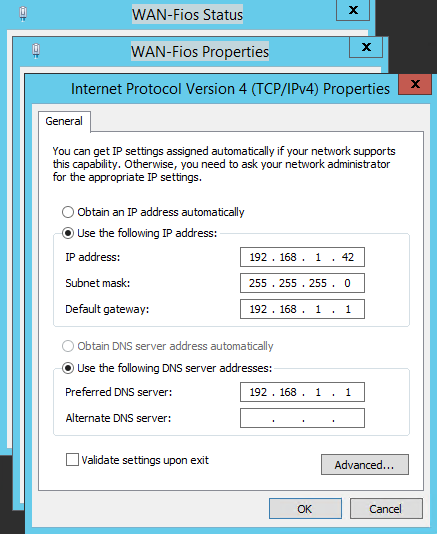 Luckily, I had a Windows Server 2012R2 WAP server in Azure already, handling all of the ADFS 3.0 authentication traffic, so I updated my DNS entries to point at the WAP Load Balancing URL. This is where things started to get a bit messy. After updating the URLs and adding the SSL certificates into the WAP server, I was able to hit my public facing URLs. I was very happy to add this added level of security into the environment. My happiness was short lived because when I went and clicked on an application that lived in the App domain, I received a 404 page not found error. Silly me, I had not set up the WAP server to pass the app domain. After spending way too much time on trying to figure it out, I decided that I had best do a bit of research. I came across the this article in TechNet, https://technet.microsoft.com/en-us/library/dn383655.aspx, that explains why I was not able to pass the app domain successfully. Well, this is a bit frustrating... So I went back into DNS and pointed the app domain back to the Cloud Service URL for the app domain. Long story, short... I reverted back to creating CNAMEs for all of the public facing URLs to the appropriate Azure Cloud Service. We are adding the ability to publish not only a specific domain name but an entire sub-domain. This opens new opportunities for customer that want to publish sites in bulk and not one by one. For example, if all your apps are under http://*.apps.internal/, you can publish them using a single external domain like https://*.apps.contoso.com/. This pattern is important when there is a need to publish SharePoint 2013 apps that uses a special sub-domain to all apps. 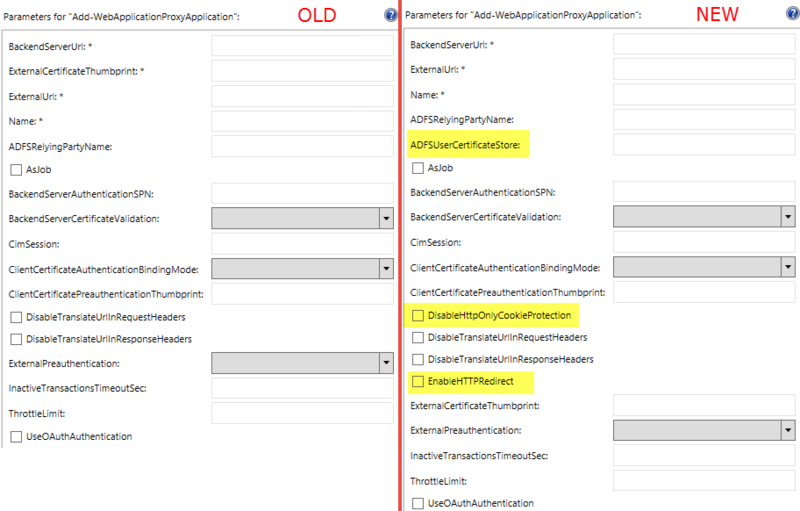 In this case, only wildcard certificates would work as the specific apps domain may change over time. 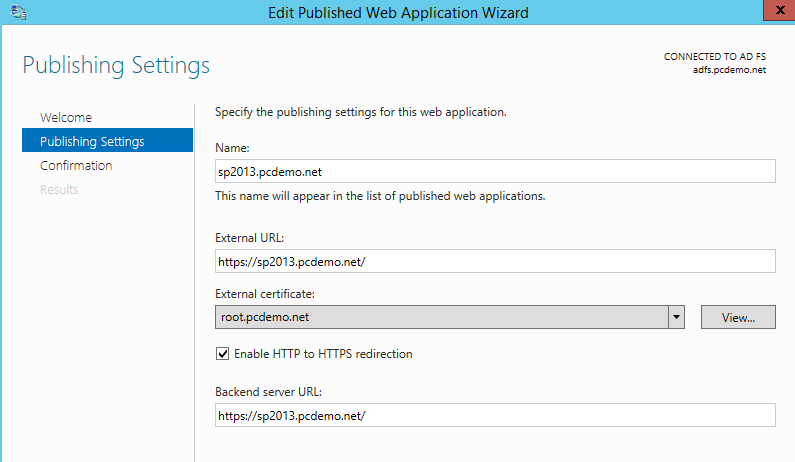 Ok, that is all good, so lets see how to setup the new WAP server for SharePoint 2013, including the App Domain. I recommend standing up a new ADFS server on a seperate VLAN that WAP can connect to, but not actually use the server for ADFS. The first thing you will need to do is grab the ISO from the TechNet Evaluation Center, http://www.microsoft.com/en-us/evalcenter/evaluate-windows-server-technical-preview. After you install the OS on the WAP server, make sure that you have at least 2 NIC ports to separate your traffic. You will use one NIC for your incoming Internet traffic and one NIC for your connection to your Internal Network. You will want to add the server to your network but NOT to your domain. Do NOT add the server to your DOMAIN. This WAP server for this demonstration is going to be used solely for a reverse proxy for SharePoint, and not for ADFS. There are plenty of blog posts on how to set-up ADFS 3.0, but you will want to install ADFS off the Technical Preview bits. Here is a simple post that installs ADFS on Server 2012R2, nothing has changed. You will need your App Domain Wildcard Certificate and your SharePoint SAN certificates with Key. 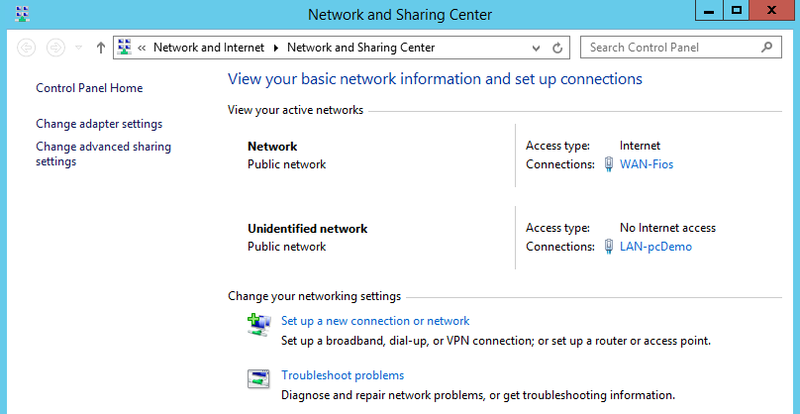 By having the NICs on different network types, you can then close off the ports appropriately. After setting up your NICs clean up your firewall so that only the required ports each network type are set up correctly. 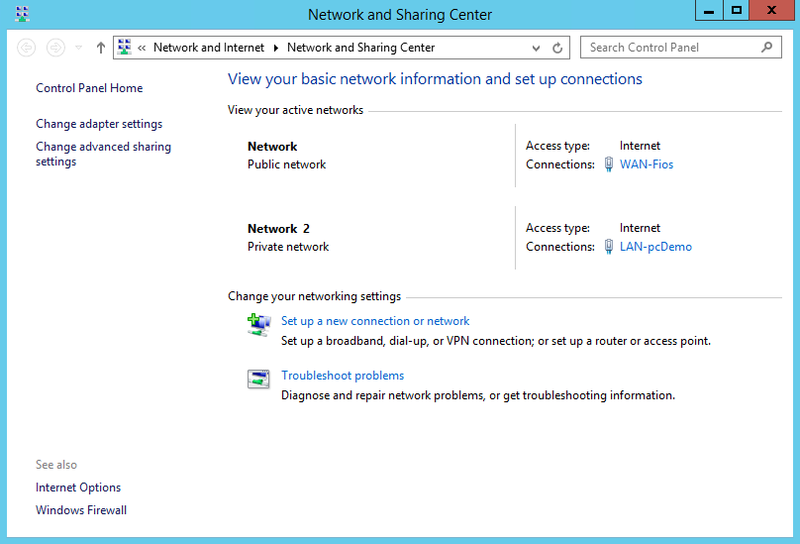 For example, you do not want to be using Remote Desktop from the Internet side of your server. Make sure that you open up port 80 on the Public side of your firewall, but keep it closed on the internal side. Next is to enable the WAP server feature. on bother the old and new WAP server, during the beta phase at least, the available cmdlets are the same. $filePath = $exportFolder + "\" + $cert.FriendlyName.ToString() + ".pfx"
Now that the certificates are installed, it's time to set-up WAP for the incoming URLs. But first let's first compare the take a look at the Add-WebApplicationProxyApplication cmdlet from Server 2012R2 to the Technical Preview. 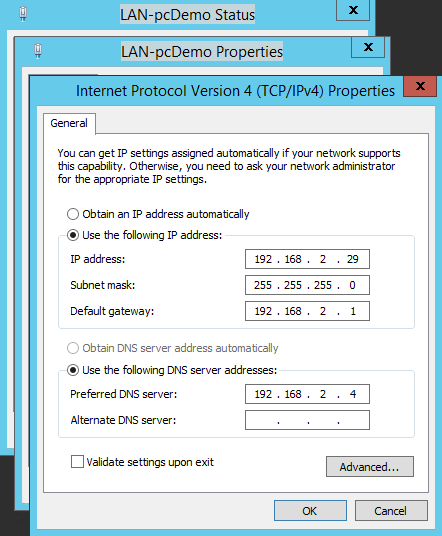 If you do not put in any DNS server information in your internal NIC settings, you will have to put all of your DNS entries in the HOSTS file. Since our WAP server is not attached to any domain, and does not have access to the internal DNS, you will need to modify the server's HOSTS file so that the redirects can be redirected correctly. Since your ADFS server should be a demo server as well, you will also want to include the ADFS server address and URL in your HOSTS file. The PowerShell for creating the web applications will be the same for your SharePoint needs (not for hybrid) as it will be for your WAC server. This one is a bit different since the hybrid connection relies on pre-authentication using a certificate that you have uploaded to O365. To create your wildcard domain Web Application for your App Domain, run the following script. There you go! You now have the ability to create all the WAC Web Applications that you will need to allow external users into your SharePoint environment safely. It is easy to edit or delete the Web Applications in the GUI if you make a mistake. They will even supply the PowerShell for later use. Once you have ADFS up and running, regardless if you use it or not, the new WAP server is even better than the previous product. Hopefully this post will help get you started on the road to creating a SharePoint Hybrid environment or just creating a reverse proxy server to keep your SharePoint (or any other site) safe. Click on the links below and notice that they get redirected from port 80 to port 443.